Jenny from Crazy About Cricut here, and I have another fun project using the amazing stamps from So Suzy Stamps! 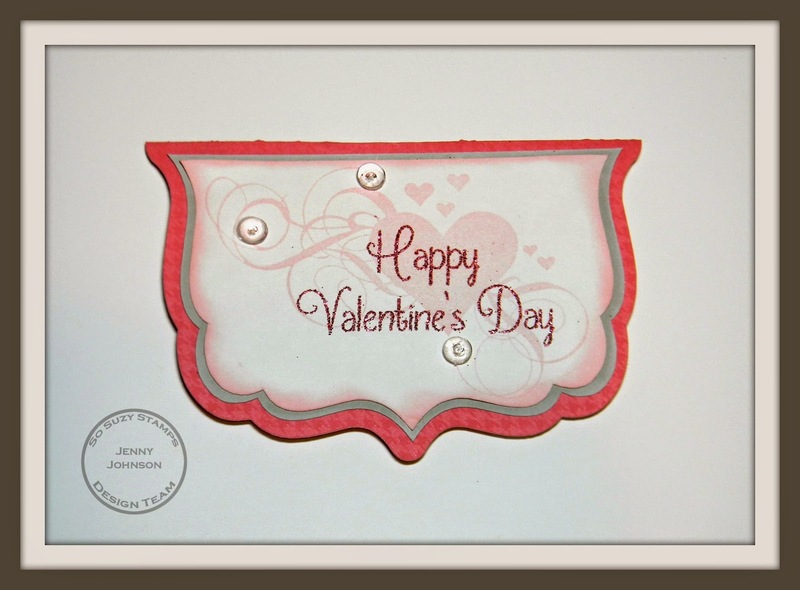 For today's card, I used the gorgeous Happy Valentine's Day sentiment stamp, Swirly Hearts image stamp, and Mountain Rose Skittles. *I created this card base using an SVG file. 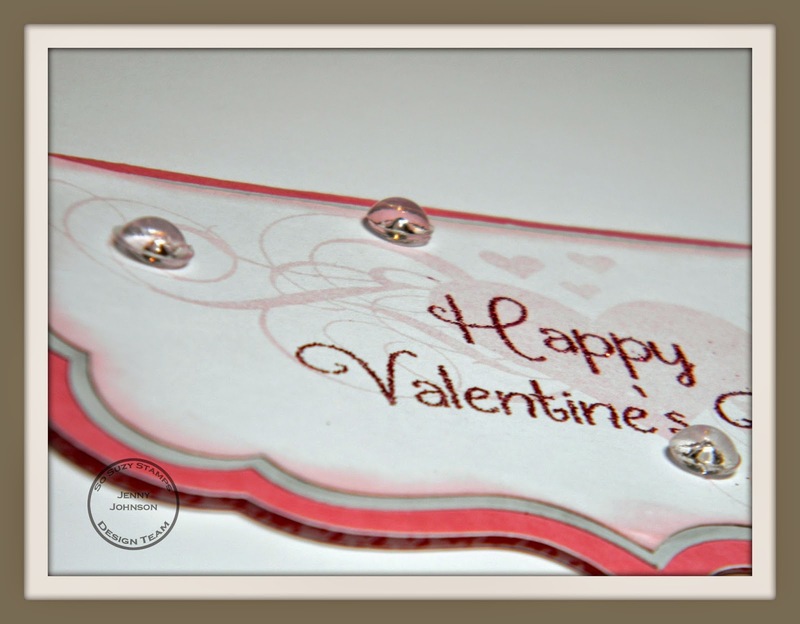 *I stamped the Swirly Hearts image stamp first in a light pink shade of ink. 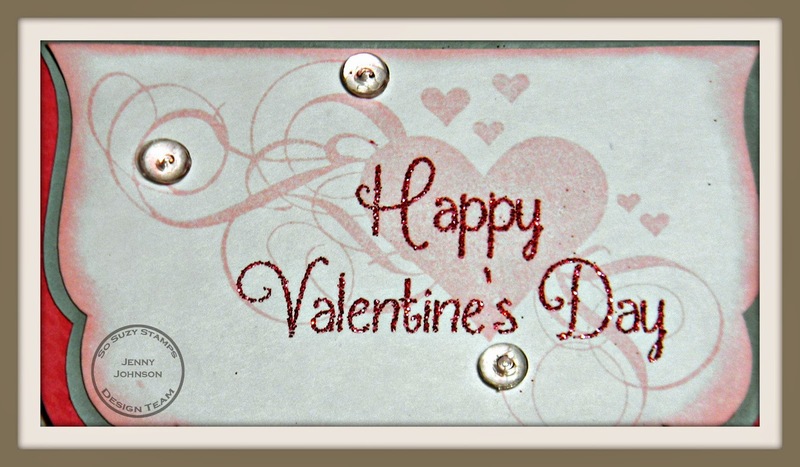 *Next, I embossed the Happy Valentine's Day sentiment stamp using glitter embossing powder. *I love the look of these 2 stamps layered together! *For a finishing touch, I added some Mountain Rose Skittles. I hope you enjoyed my project! Before I go, I wanted to remind you all that you still have time to enter our January challenge. Entries close on January 31st, 2014 at 11:59pm.